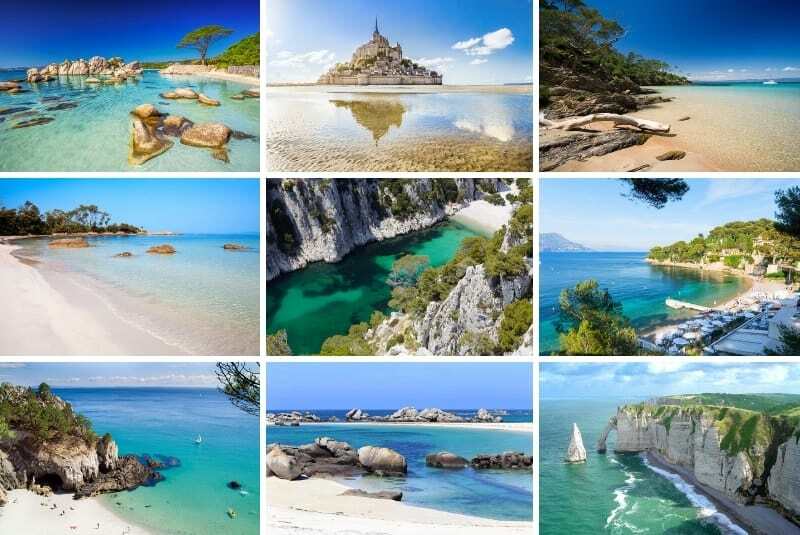 France has been blessed with a staggering variety of beaches thanks to its miles of coastline bordering the Mediterranean Sea, Atlantic Ocean and the English Channel. 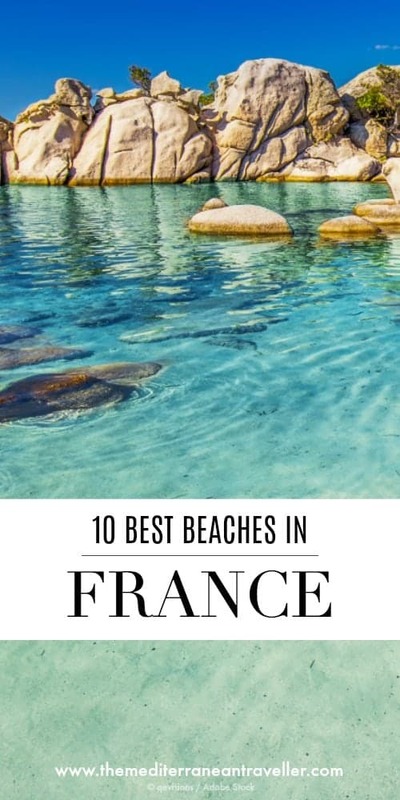 It’s difficult to make a definitive top 10 of the most beautiful beaches in France, but there’s something here for everyone; from big sandy beaches on the Atlantic Coast to chi-chi beach resorts along the French Riviera, Corsican stunners, and a whole host of fascinating rock formations around the country. The Crozon peninsula in Brittany is known for its rugged scenery and sea caves. 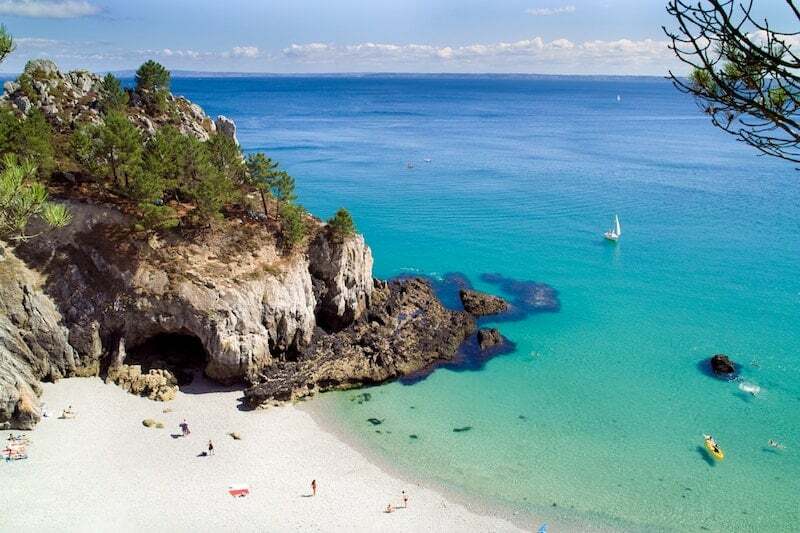 Near the old sardine fishing port of Morgat – a lively and picturesque resort with a wide sandy beach – you’ll find fascinating coves. Ile Vierge, with its beautiful pebble beach, is the prettiest. 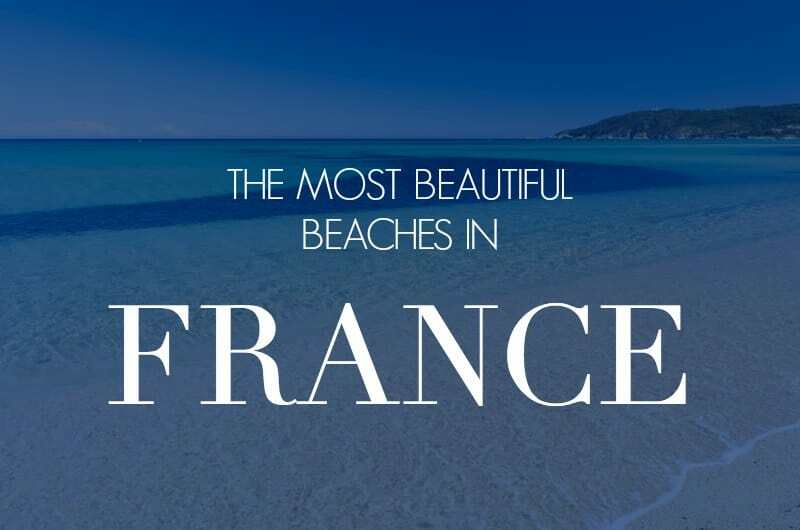 You’d be forgiven for thinking this beach was somewhere altogether more tropical, but you’ll find these beautiful waters in the famous Cote D’Azur resort of St Tropez. This 5km of white sandy beach is lined with beach clubs and has a definite upmarket boho vibe. 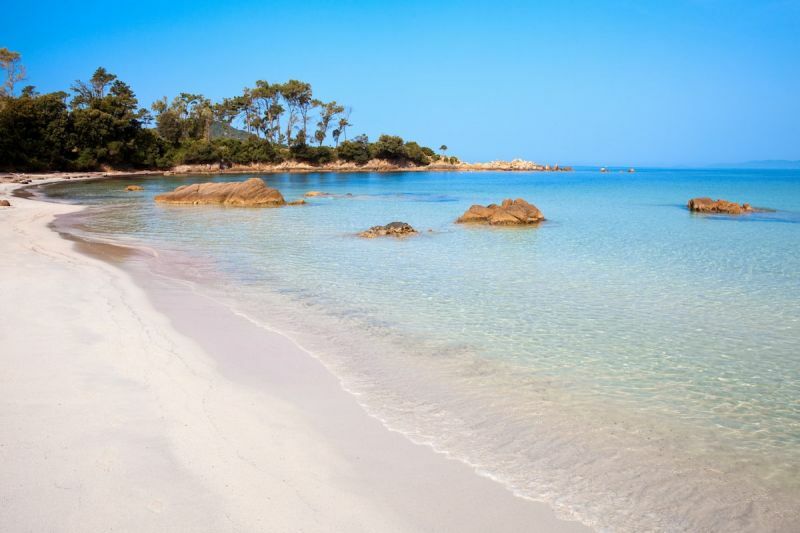 Palombaggia is one of the most famous beaches in France, and for good reason. 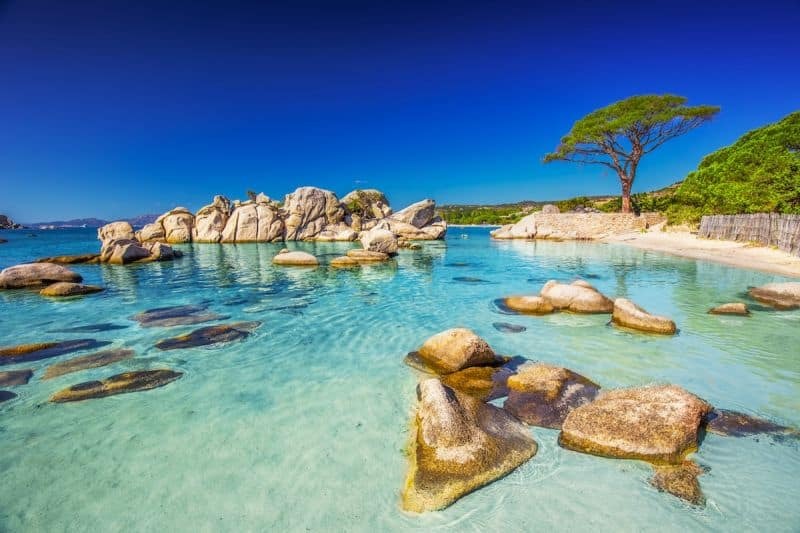 There’s 2km of soft sand beach, flanked by fragrant pines and pink granite headlands that lend a tinge of colour to the beach, and dotted with recognisable boulders. Just 10km from Porto Vecchio, it does get busy in high season. 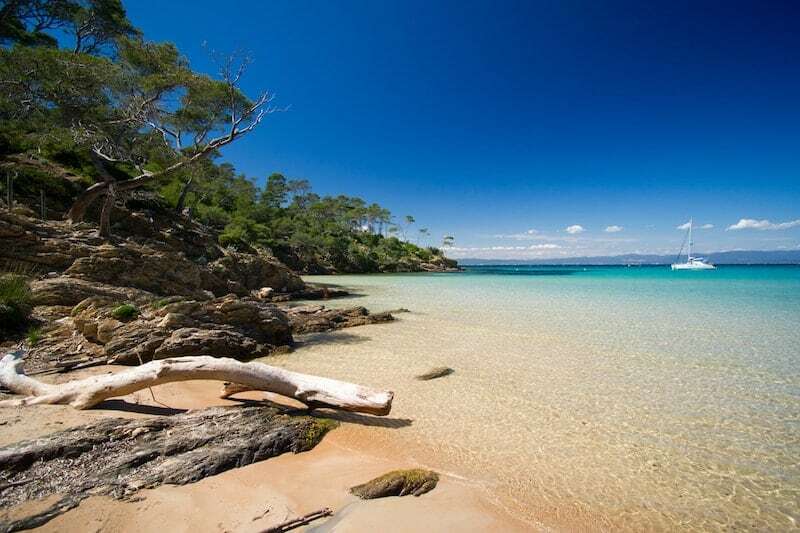 The island of Porquerolles is a little slice of heaven, just 20 minutes from Hyères on the south coast of France. The state bought the island in the 1970s and made it a national park to protect it from development. There are no cars, and smoking is even banned outside town. The Plage de Notre Dame is the best beach on the island. The Massif des Calanques are a series of stunning rocky inlets carved into the limestone rocks between Cassis and Marseilles. This wild and craggy part of Provence is now a National Park and a popular hiking spot. The most spectacular Calanques is En Vau. 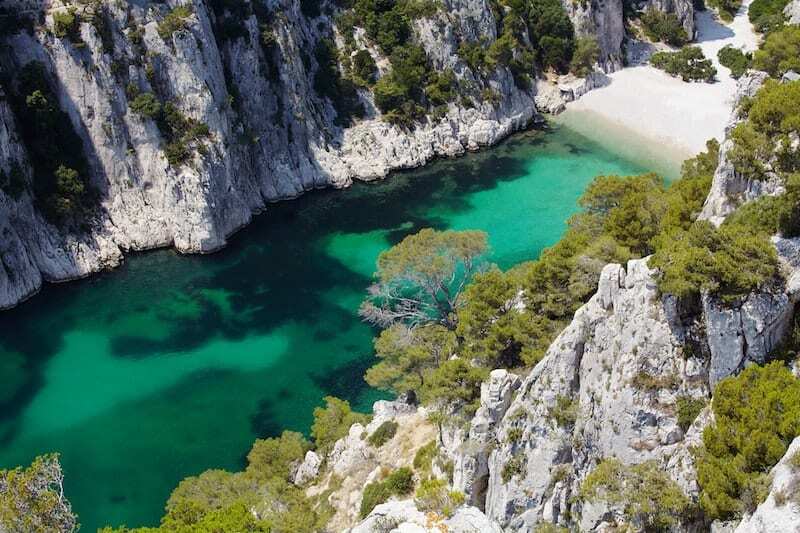 You can access the Calanques by the hiking trail Sentier du Petit Prince or by boat. Check for fire warnings before visiting in the summer though. 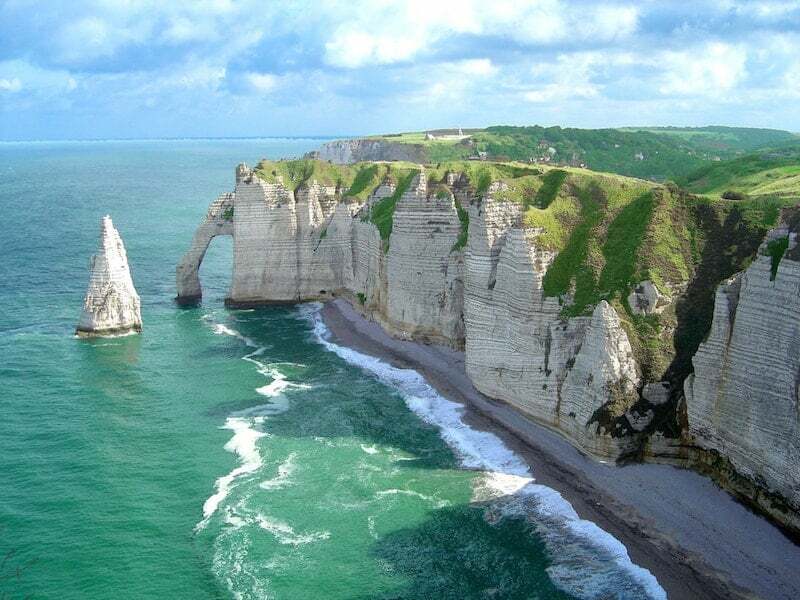 The famous chalk cliffs of Etretat are the French equivalent of the White Cliffs of Dover. The pebble beach and excellent clifftop walks are popular with tourists in the area, who come to admire the three arches and the stack known as L’Aiguille (‘the Needle’). 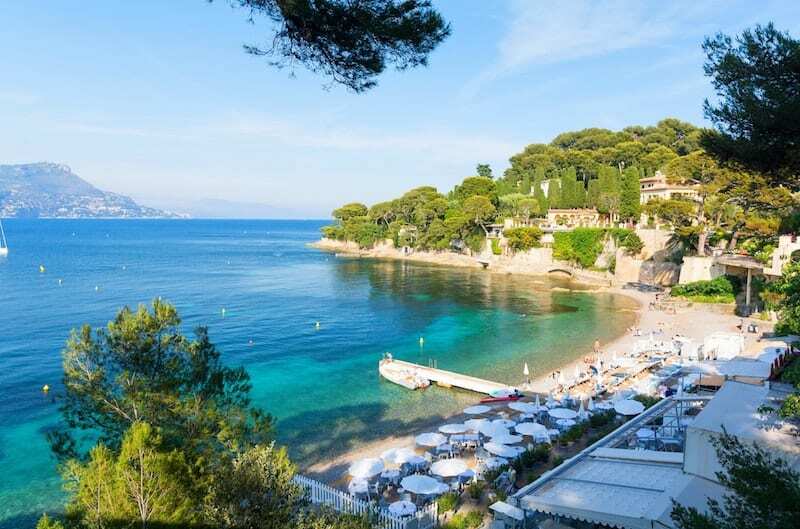 This pretty beach in the swanky peninsula of Saint-Jean-Cap-Ferrat along the Côte d’Azur was named after Paloma Picasso thanks to the family’s patronage of the area. It’s frequented by celebs and the jet set, but the beach is open to all and has a family vibe. 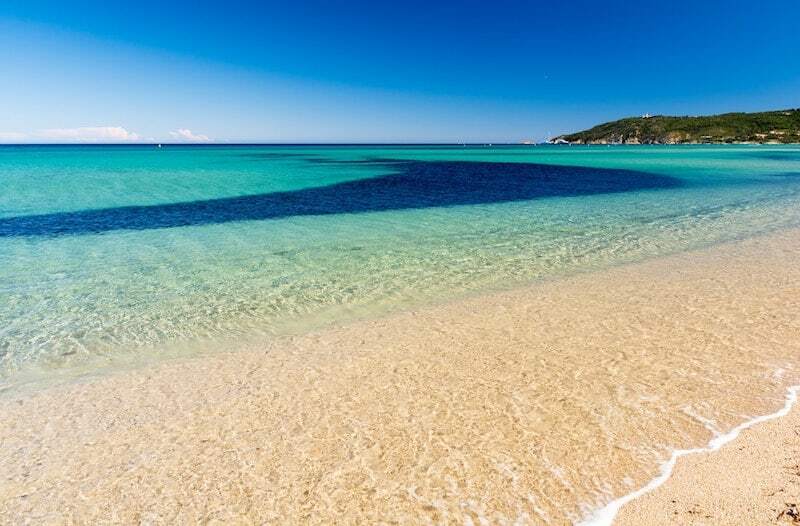 The shores around Ajaccio on the west coast of Corsica are another hotspot for very pretty beaches, like the dreamy pine-backed Plage de Mare e Sole with its shallow translucent waters and fine powdery sands. For its wild dune landscapes and intriguing rock formations, the Plage de Boutrouilles in Brittany is a winner. 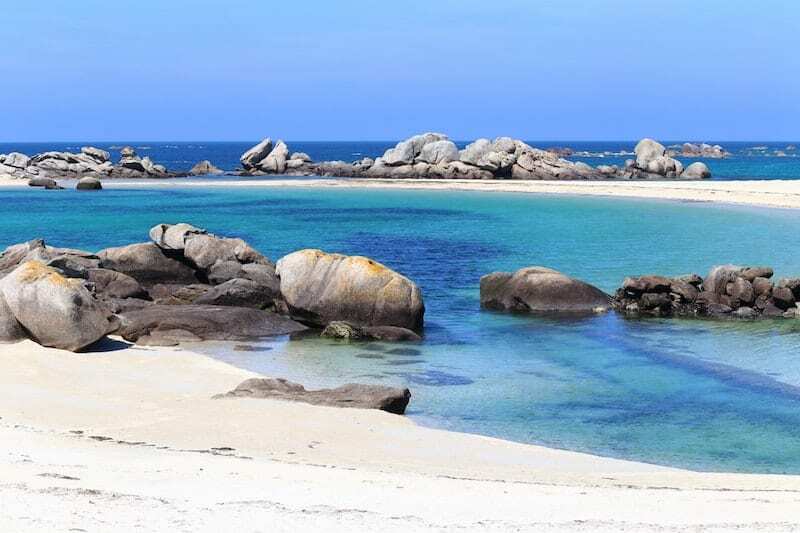 Huge granite boulders are a feature of the coast around here, as well as charming Breton villages and soft white sand beaches. French beach connoisseurs head west to the Atlantic Coast get their fix. This sandy beach in Bordeaux is a massive 14km long, and one of the best for surfing in the country. 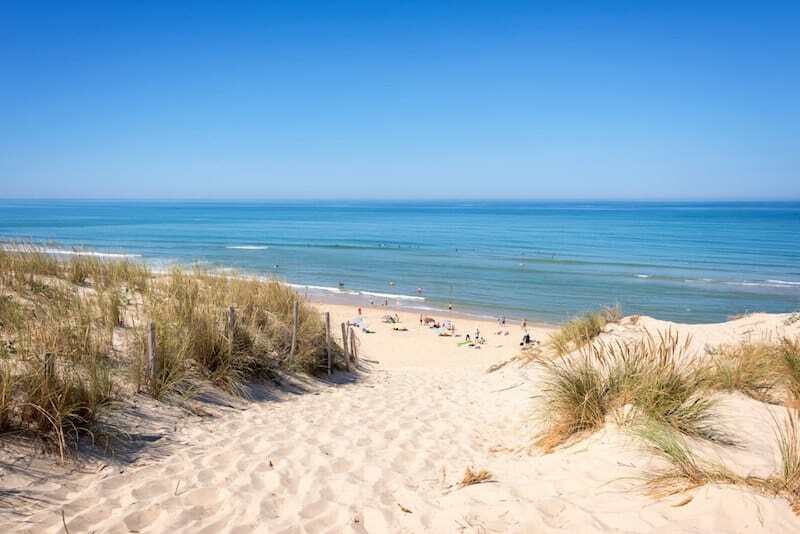 The resort of Lacanau-Océan is laid-back but lively in the summer, with plenty of activities. But the beach is big enough that you’ll always be able to find a private spot, even in the height of the season.